Since he was 7, Rohit had taken a liking to music. Influenced by his father, he learnt how to play various musical instruments like the tabla, guitar and harmonium. His singing experience started from his childhood, singing old Hindi and Nepali songs with his father playing various instruments. 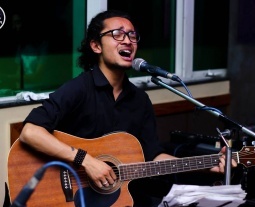 Till date, he has done back-up vocals for the band Wholehearted at Kathmandu Jazz Conservatory, covered Jason Mraz's Butterfly with Ashesh Kulung Rai, composed Bistarai and has recently performed Pani Paryo at Kantipur FM.